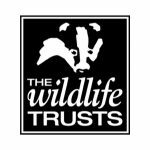 The Berks, Bucks & Oxon Wildlife Trust (BBOWT) is one of 47 Wildlife Trusts working across the UK to achieve the shared aim of securing a better future for wildlife. Volunteer with us to meet new people, develop new skills, gain valuable experience and benefit the wildlife in Buckinghamshire. There are regular work parties at sites across the county, including Bacombe Hill, College Lake, Dancersend, Finemere Woods, Little Linford Wood, Upper Ray, and Weston Turville Reservoir. Other opportunities include events and wildlife surveying.